When first confronted with the term “post-digital” half a decade ago through my students, I found it – in an age of cultural, social and economic ruptures driven to non-trivial extents by computational digital technology – rather silly. Today, in the age of ubiquitous mobile devices, drone wars and the gargantuan data operations of Google, the NSA and other global players, it may appear even sillier: as either ignorance of our times or Thoreauvian-Luddite withdrawal from them. The latter option is tempting, yet naive. For the arts, they boil down to the history of the 19th century Arts and Crafts movement repeating itself, with its program of handmade production as resistance to industrialization. And indeed, this history is partly repeating itself in today’s renaissance of artists’ printmaking, handmade film labs, limited vinyl editions and what have you. But on closer inspection the dichotomy between digital big data and neo-analog DIY isn’t as clear-cut as it may seem. And this is where the attribute “post-digital” makes sense. From a philosophical standpoint, one can only agree with Geoff Cox and his critique of the term “post-digital” as a questionable continuation of other nouns prefixed with “post”, from postmodernity to posthistoire. I would like to frame it, however, within more pragmatic, popular and colloquial frames of references, both as regards to the prefix “post” and to the notion of “digital”. Rather than “postmodernity” and “posthistoire”, the “post” in “post-digital” could be compared to post-punk (punk culture continued in ways that both were punk and not), post-communism (still the reality in all former East block countries), even postcolonialism and, to a lesser extent, post-apocalyptic (pop cultural, Mad Max style). None these words would be done justice if one identified them as Hegelian historico-philosophical categories. Rather, they describe mutations that are often still ongoing: postcolonialism does just not mean the end of colonialism akin to Hegel’s and Fukuyama’s end of history, but its transformation into less clearly visible power structures that are still in place, have left their mark on languages and cultures, and most importantly still govern geopolitics and global production chains. “Post-digital” first of all means any media aesthetics that leaves behind these clean high tech, high fidelity connotations. The word was coined by musician Kim Cascone in 2000 in relation to glitch aesthetics in contemporary electronic music . In the same year, the Australian sound and media artist Ian Andrews broadened it into a “post-digital aesthetics” that rejects the “idea of digital progress” and “a teleological movement toward ‘perfect’ representation” . Andrews, in other words, thought of “post-digital” as an antidote to techno-Hegelianism. Both Cascone’s and Andrews’ papers were firmly based on the culture of audiovisual production. In this world, “digital” had been synonymous with “better” for a long time: the launch of the Fairlight sound sampler in 1979, the digital audio CD in 1982, the MIDI standard in the same year, software-only digital audio workstations in the early 1990s, real-time programmable software synthesis with Max/MSP in 1997. Similar teleologies are still at work in video and TV technology, with the ongoing transitions from SD to HD and to 4K, from DVD to BluRay, 2D to 3D, always sold with the same narrative of innovation, improvement, and cleaner reproduction. Cascone and Andrews simply rejected this. “Post-digital” might have been confusingly named because Cascone’s glitch music actually was digital, even based on digital sound processing artifacts. 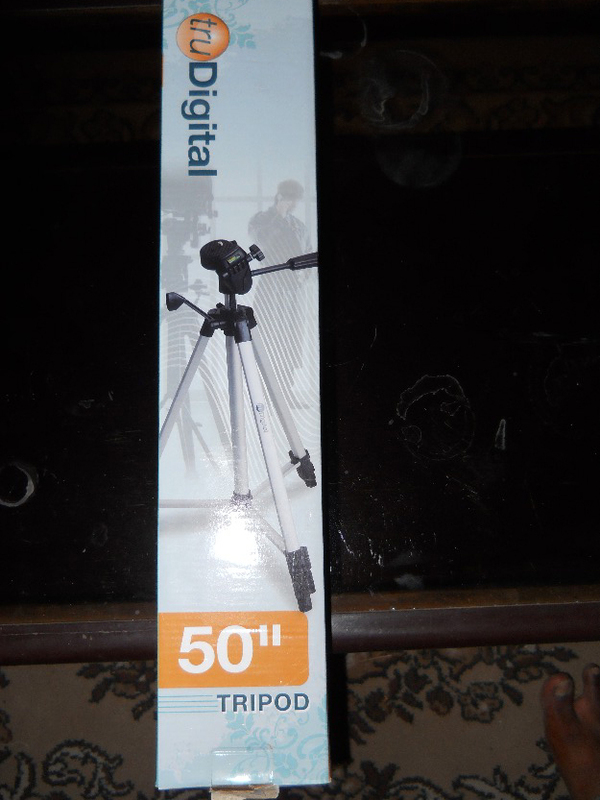 But it should rather be seen as a reaction to an age where even tripods are being sold with “digital” stickers attached in order to suggest that they are new, improved technology. Most serialist music, however, was not electronic but composed with pen and paper and performed by orchestras. This highlights a crucial point: unlike in the colloquial usage of the word (but also its common understanding in the arts and humanities), “digital” does not have to involve electronics at all. In this sense, the technical-scientific notion of “digital” can – paradoxically enough – be applied to devices that would be called “post-digital” in the arts and humanities. Going back to Cascone and Andrews, but also to post-punk, postcolonialism and Mad Max, “post-digital” most simply describes the messy state of media, arts and design after their digitization, or at least after the digitization of vital parts of their communication. While contemporary visual art, for example, only slowly begins to accept net artists as regular contemporary artists (and among them, rather those whose work is gallery-compatible like Cory Arcangel’s), its discourse and networking have already profoundly changed through the e-flux mailing list, art blogs and the electronic e-flux journal. These media that have largely superseded paper art periodicals in circulation, power and influence at least for artists and curators. Likewise, paper newspapers have become post-digital, or post-digitization media where they shift their emphasis from news (for which the Internet is faster) to reportage and commentary. “Post-digital” thus refers to a state where disruption through digital information technology has already occurred. Which can often mean – as for Cascone – that it is no longer perceived as disruptive. In this sense, the term “post-digital” is positioned against the term “new media”. At the same time, as its negative mirror, it exposes (perhaps even deconstructs) the latter’s hidden teleology: If “post-digital” evokes critical reactions concerning the historico-philosophy embedded into the prefix “post”, then it also the reveals the previous lack of such criticality towards the older term “new media” which is no less Hegelian. Furthermore, “post-digital” describes a perspective on digital information technology that is no longer focused on technical innovation or improvement, even rejecting innovation narratives. Consequently, the distinction between “old” and “new” media collapses in theory as well as in practice. As Kenneth Goldsmith observes, his students “mix oil paint while Photoshopping and scour flea markets for vintage vinyl while listening to their iPods”. Each medium is chosen for its own particular material aesthetics including artifacts. Lo-fi and misbehavior is embraced, just as in Cascone’s digital glitch and jitter music, but just as much in analog grain, dust, scratches or hiss, as a form of practical exploration and research that understands media from their misbehavior. This approach of using technology against its high end promises boils down to practically the same as to what computer hackers do, namely taking systems apart and using them against their design intentions. Post-digital risograph printmaking, audio cassette production, mechanical typewriter experimentation or vinyl DJing clearly overlap with hipster retro media trends, including the digital simulation of analog lo-fi in popular smartphone apps such as Instagram. Rediscovery and repurposing of these “vintage” media with a hacker spirit, on the other hand, set it apart from this culture. Non-digital media technologies such as the ones mentioned above become post-digital when they are not simply nostalgically revived, but functionally repurposed in (often critical) relation to digital media technologies: zines that become anti- or non-blogs, vinyl as anti-CD, cassette tapes as anti-mp3, analog film as anti-video. On the other hand, ethics and conventions that became mainstream with Internet communities and Open Source/peer-to-peer culture become retroactively applied to the making of non- and post-digital media products, such as in collaborative zine making events (which are in extreme opposition to the hyper-individualist zine cultures of the post-punk 1980s and 1990s). If one maps Lev Manovich’s 2001 taxonomy of “new media” as “Numerical Representation”, “Modularity”, “Automation”, “Variability” and “Transcoding” to a contemporary zine fair or risography community art space, then “modularity”, “variability” and – in a more loosely metaphorical sense – “transcoding” would still apply to the contemporary cultures of working with these “old” media. In other words, “post-digital” can usefully describe “new media”-style approaches to working with (so-called) “old media”. This hacker and community-oriented approach shifts the previous dichotomies of “old” and “new” media, analog and digital to a new difference of shrink-wrapped versus Do-it-yourself. No medium embodies this better than the magazine and web site Make, published by O’Reilly since 2005 and instrumental in the foundation of the contemporary maker movement. Make covers 3D printing, Arduino hardware hacking, FabLab technology, as well as classical DIY and crafts, and hybrids between them. Conversely, the 1990s/early 2000s equation that analog mass media (such as newspapers and radio) are corporate and “new media” such as web sites are DIY, is no longer true ever since user-generated content has been co-opted into corporate social media and mobile apps. The Internet as an self-run alternative space – central to many activist and artist’s online projects from The Thing onwards – simply is no longer intuitive for anyone born after 1990 and identifying the Internet with corporate, registration-only services. The Maker movement, whether in FabLabs or on zine fairs, embodies a shift from the purely symbolic, as privileged in digital systems (for which the login is the perfect example), towards the indexical: from code to traces, and from text to context. While 1980s post-punk zines, for example, resembled manifestos (such as those of the Berlin Dadaists in the 1920s) and 1980s Super 8 films (such as the Cinema of Transgression) created underground narratives against mainstream cinema, the majority of contemporary zines and analog films tend to shift from content to pure materiality where the medium, such as paper or celluloid, indeed is the message; from semantics to pragmatics, and from meaning to being. From a technological and scientific point of view, the word “digital” is wrongly understood and used by Cascone. That also applies to most of what is commonly labelled “digital art”, “digital media” and “digital humanities”. If something is “digital”, it neither has to be electronic, nor involve binary zeros and ones. It does not even need to be attached to electronic computers or any other kind of computational device. Conversely, analog does not mean non-computational or pre-computational, since there are also analog computers. (Using water and two measuring cups for computing additions and subtractions – of quantities that can’t be exactly counted – is a simple example for analog computing.) “Digital” simply means that something is divided up into exactly countable units – countable with whatever system one uses, whether zeros and ones, decimal numbers, strokes on a beer mat or the digits of one’s hand. (Which is why “digital” is called “digital”; in French, for example, the word is “numérique”.) Therefore, the Western alphabet is a digital system, the movable types of Gutenberg’s printing press constitute a digital system, the keys of a piano are a digital system, Western musical score notation is digital aside from such non-discrete value instructions as adagio, piano, forte, legato, portamento, tremolo and glissando. Floor mosaics made from monochrome tiles are digitally composed images. 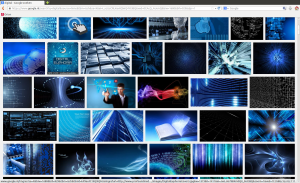 These examples show, too, that “digital” never exists in any perfect form but is always is being abstracted and idealized from matter that, by nature and the laws of physics, has chaotic properties and often ambiguous states. “Analog” conversely means that something has not been chopped up into discrete, countable units, but consists of an signal that by itself as no discrete units but is gradually and continuously changing, such as a sound wave, light, a magnetic field such as on an audiotape but also on a computer hard disk, the electrical flows in any circuit including computer chips, a painted color gradient. The fingerboard of a violin is analog, because it is fretless – undivided -, the fingerboard of a guitar is digital, because frets divide it into single notes. What is commonly called “analog” photographic and cine film is actually a hybrid of analog and digital: the particles of the film emulsion are analog, because they are in organic-chaotic order and not reliably countable like pixels -, the single frames of a film strip are digital since they’re discrete, chopped up and unambiguously countable. This means that media, in the technical sense of storage, transmission, computation and display devices, are always analog: The voltage in a computer chip is analog, and only through filtering, one can determine whether high voltage corresponds to a “zero” and low voltage to “one” (which is why worn/out hardware can make bits flip and turn zeros into ones); the sound waves produced by a sound card and a speaker are analog; etc. An LCD screen is a hybrid digital-analog system because its display has discrete, countable, single pixels, but the light they emit is an analog continuum. There is hence no such thing as digital media, only digital or digitized information: chopped-up numbers, letters, symbols and whatever other abstracted units as opposed to continuous, wave-like signals such as physical sounds and visuals. Most “digital media” devices are really analog-to-digital-to-analog converters. An mp3 player with a touchscreen interface, for example, takes analog, non-discrete gesture input, translates it into binary control instructions that trigger computational information processing of a digital file, ultimately decoding it into analog electricity that another analog device, the electromagnetic mechanism of a speaker or headphone, turns into analog sound waves. The same principle applies to almost any so-called digital media device, whether it’s a photo or video camera, or a military drone. As soon as something is perceivable (and thus aesthetic), it takes the form of non-discrete waves and therefore is analog. “Digital art” based on the technical definition of “digital” would, however, likely be called “post-digital” or even “retro analog” by art curators and media studies scholars: stone mosaic floors from Internet image memes, for example, installations with mechanical typewriters, countdown loops on a Super 8 or 16mm film projector. 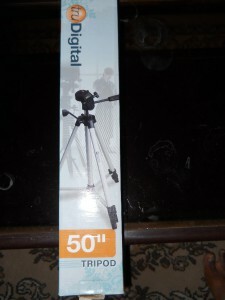 The everyday colloquial meaning of “digital” is metonymical: anything connected to computational electronic devices, even if it’s a tripod. It is a notion fostered and solidified last not least by marketing and product advertising. Some eyebrows should thus be raised when the humanities simply take it over, in the concept of “digital humanities” for example, without any question asked. In that sense, “post-digital” art, design and media works – whether or not they actually should be called post-digital – often make up for lacking critical reflection of digitality. In the year 2000, the notions of “post-digital” proposed by Cascone and Andrews were somewhat contradictory in that they simultaneously rejected the rhetoric of “new media” while heavily relying on it. Cascone’s paper drew on a “Wired” column of Nicholas Negroponte, Ian Andrews’ paper on Lev Manovich’s “Generation Flash” which advocated the very opposite of the the analog/digital, retro/contemporary hybridizations that are associated with the term “post-digital” today. If post-digital aesthetics consists, metaphorically speaking, of postcolonial practices in a communications world taken over by a industrial-military complex of a handful of global players, then it is perhaps easiest to think of it as the opposite of (Ray Kurzweil’s and Google’s) Singularity movement, the Quantified Self movement and other forms of techno gnosis. 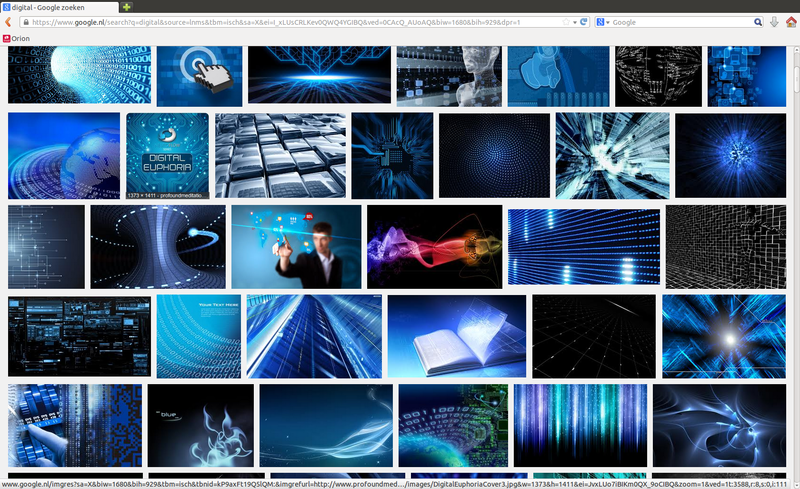 Had I seen that Google image search on the digital that makes plain this particular saturation of blue in relation to the digital I could have saved on the extended pontificating on blue at the beginning of my post! Helpful to have as a future reference. The referencing to post-punk and post-colonialism feels particularly relevant. To me, the Greil Marcus quote cited in the Wikipedia entry on post-punk could just as well be applied to a contemporary feeling of the digital: the post-digital as “sparked by a tension, humour and sense of paradox.” Comparing such a situation to the post-colonial can also help to keep the colonising impulse of the digital to the fore, the tension that remains in a situation where the majority of digital production, whether intentionally so or not, remains closely bound to, and often accepting of, the affordances and constraints of “late-capitalism” such as Geoff is highlighting in his post. Thanks, these are helpful additions I’d like to integrate into a second version of the draft. The original Greil Marcus article can be read here. I find his description of postpunk as “bent on testing a form called ‘rock’n’roll’ – as music, culture, and commerce – while still maintaining a certain wary distance from it” quite apt to be reused for our purposes. (Simon Reynolds defines postpunk both historically, as that what came after punk in 1977, and aesthetically as “fulfilling punk’s uncompleted musical revolution, exploring new possibilities by embracing electronics, noise, jazz and the classical avant-garde, and the production techniques of dub reggae and disco.” (Reynolds, Rip It Up and Start Again, Penguin 2006, 1). Very useful with some critical discussion of key concepts – including the digital! Also it makes sense to think of the post in post-punk and post-colonialism and not only in post-modernism, though especially the latter might be related, since the post-colonial started by identifying authors like Rushdie who were so-to-speak postmodern with an edge? Anyway, I also think that we cannot escape the digital and digitization as a strong rhetorical, technological and economic force. I believe it is useful to stay in a critical dialogue with current technological trends. In that sense I like your opening (and stuff you’d written elsewhere) and I’d be interested in discussing how the post-digital tendencies are relevant – not only as refuge or stale criticism – but as a(n alternative) way to develop technology and technological culture. This is what we’re aiming at with our discussions of the five generations of the interface in our post (even though you’re right in your point that it shouldn’t be seen as a linear, epochal development!) and there might be possibilities of connecting the post-digital to discussions of media archaeology, new materialism and the messy ways that ubicomp is carried out (cf. Harrison and Dourish’ criticism of Weizer). In this sense the post-digital might show us new ways of dealing with ubicomp, mobile media, urban computing, etc. and criticizing the totalitarian controlled consumption interfaces, e.g. showing what they leave out and where their decontextualizations are ruining important cultural practices. These fairly loose thoughts I hope we can discuss across our papers next week, but my point would be, that it is worthwhile to discuss and locate the post-digital within what is known as digital culture (whatever digital means here…). Who forgot to plug in the audience?